Back in the early nineties, Marvel comics, fresh from the unholy disaster that was Albert Pyun’s Captain America, found themselves bandying about a lot of radical ideas for more small-budget, big screen adaptations of their titles. In the search for concepts that they might actually be able to do justice to, given the limited funds at their disposal, a lot of mad ideas were kicking around for live-action interpretations of lesser known characters. 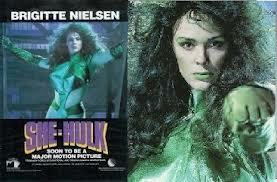 Sensing potential in heroes who wouldn’t bust the bank with their special effects budgets, plans were set in motion for franchises featuring Luke Cage, Iron Fist and, best of all, She-Hulk, with Red Sonja’s Brigitte Nielsen set to star. Sadly, as awesome as it would have been to see the Amazonian ex-Mrs Stallone daubed in jade emulsion, none of these films ever actually materialised. However, in 1991, someone at Marvel spotted the potential for weekly high-spirited, live-action high-jinks in its recently cancelled comic series Power Pack. 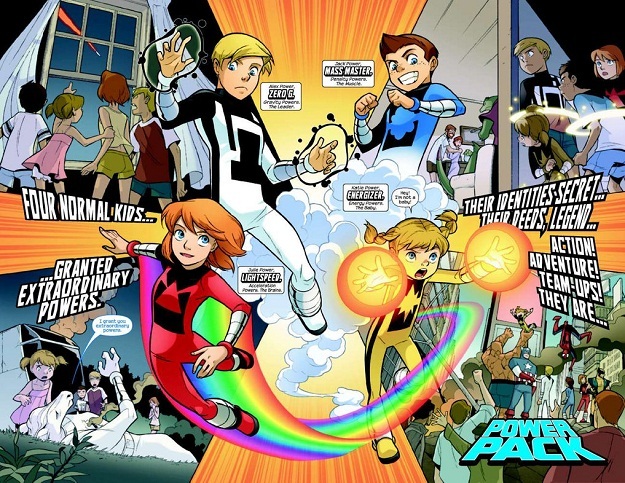 Created by Louise Simonson and June Brigman in 1984, Power Pack followed the exploits of four bright, pre-teen American siblings who find themselves the unwitting recipients of amazing super powers, passed on to them by a dying alien. The kids then attempt to deal with the trials and tribulations of growing up, while occasionally doing battle with some of the deadliest villains of the Marvel Universe. The series often tackled hard-hitting issues like child abuse and homelessness, though there was little danger of such heavy themes being tackled in the show, whose pilot was firmly targeted at the Saturday morning kiddie crowd. Directed by Rick Bennett, who would, oddly enough, go on to supply the voice of Juggernaut in the smash hit nineties animated X-Men show, Power Pack was never picked up, which is a shame, as the pilot certainly evidenced encouraging potential for whimsical, if cheapie, weekly shenanigans that could have proved popular with the hyperactive, sugar-rush Power Rangers crowd. Opening with a cheesy voice-over, presumably from the mysterious power-bestowing alien, played out over a shoddy montage of crappy CGI planets, the show is instantly reminiscent of classic early nineties ‘kids with powers’ shows like Out Of This World and The Secret World of Alex Mack. Over a theme blatantly pinched from Edward Scissorhands, the enigmatic alien discloses that it was indeed he who gave the kids their abilities, after they “inspired me with their innocence and honesty.” Innocence is certainly the name of the game, as the adventures of the Powers children are about as wholesome and idealistic as warm apple pie. This is droll, heart-warming family fun, with a delightfully schmaltzy opening sequence that introduces the kids and their powers, in an entertaining, but not altogether showy way. On the first day of school in a new town, super-fast Julie (Margot Finley) with her trademark rainbow-hued slipstream, uses her abilities to tidy her room in record time, whilemass-manipulating brother Jack (Bradley Machry) shrinks himself down to retrieve his retainer from the plughole. Elder sibling Alex (Nathaniel Moreau) defies gravity to lift a heavy fish-tank to retrieve a science textbook, while cute-as-a-button runt of the litter Katie Jacelyn Holmes) uses her energy-exploiting powers to do weird, luminescent things to a bouncy ball, while pining for new friends. Just before they set off, the kids are lectured by dad (Jonathan Whittaker) who gives a standard ‘great power comes with great responsibility’ speech. The plot doesn’t dwell on how they got these powers, but gets on with exploring how they deal with them, and though the effects are ropey at best, with many elements of the kids’ fantastical powers toned down no doubt due to budgetary constraints, this show easily coasts by on charm alone. 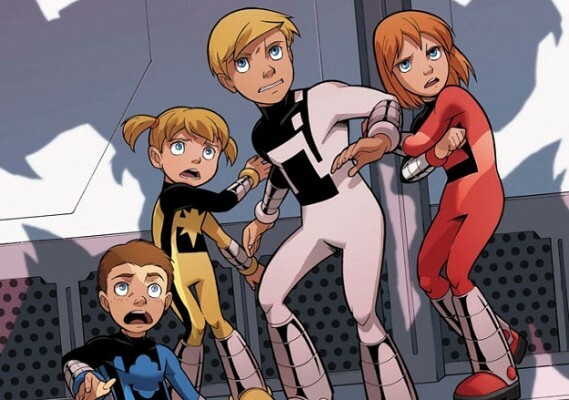 Dad warns the children not to use their powers in public, worried that growing up is hard enough without the added complications of super powers, and this is key to what the show is all about. These kids just want to fit in, but inevitably their powers get them into various scrapes. Desperate to make new friends, Jack is peer-pressured into snooping around a desperately creepy old house, where he uses his shrinking powers to bust in. Following a fun scene that sees Jack dwarfed by a rat, with effects used sparingly but effectively, the boys bite off more than they can chew when they come into possession of a sinister amulet discovered in the shadows of a malevolent, foreboding old painting. Storm clouds soon gather and a mysterious, pissed-off, hooded mischief maker starts playing chap-door-runaway at the Powers household, making it clear the amulet’s spectral owner wants his property back. As NKOTB blare on the radio, the Power Pack decide to concert their efforts and go and put things right, setting the scene for a terrific house of horrors showdown, reminiscent of classic kiddie horror shows like Are You Afraid Of The Dark, packed with terrible effects, but quirky charm. The whole sequence is a little nonsensical, feeling thrown together as an excuse to showcase the kids’ powers, but any sequence that features a super-cute pre-schooler taking on a lumbering zombie is always going to be a winner. And, of course, the kids make it home just in time for chores. Though Power Pack was never going to change the world, this genuinely sweet, simple pilot has its heart in the right place, possessing the trump card of a genuinely likeable cast with affable chemistry. A shining example of Marvel’s breezier, gentler storytelling, this show does everything a good pilot should do, opening the door to an enticing new world packed with promise, and with some tighter writing and a meatier effects budget Power Pack could really have been something. 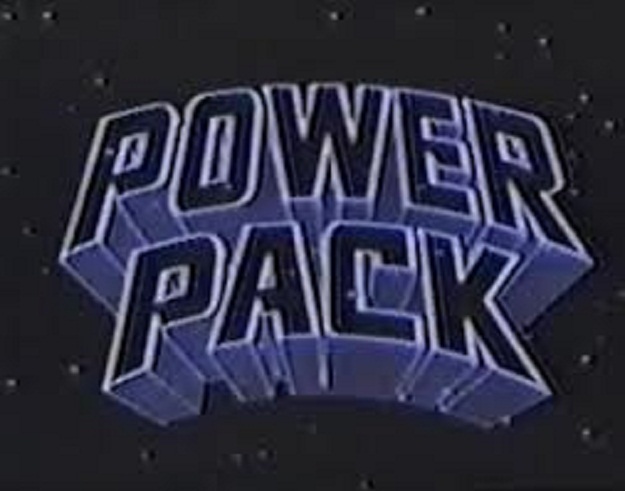 For younger audiences, the escapades of these super-powered whippersnappers should make for a genuinely beguiling watch, but for whatever reason, the kids of 1991 just weren’t ready for the Power Pack. However, now that Marvel has joined forces with House of Mouse, perhaps we’ll witness the resurgence of the astonishing clan Powers yet. Next Post Xbox One Step Too Far?